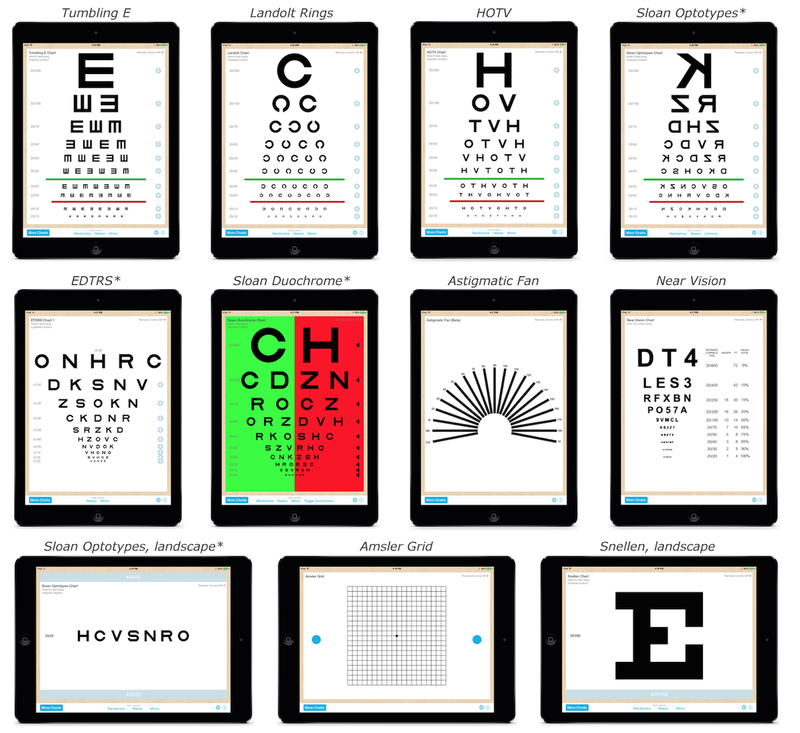 Our main goal with Eye Chart Pro is to increase access to quality visual acuity testing. This effort has always had the most impact in the developing world. We’re excited to announce that we have been working with a team of researchers at Anglia Ruskin University, led by Dr. John Siderov, to create LogMAR visual acuity charts in Gujarati that are freely available within Eye Chart Pro. This chart will allow for visual acuity screening on Gujarati-literate patients who are not familiar with latin characters. Gujarati is a language spoken by over 50 million people in India. Dr. Siderov’s team created a set of Gujarati language optotypes by modifying Gujarati fonts, carefully selecting letters for each line, and validating the optotypes set in a LogMAR format, which is the recommended visual acuity test. To further our goal of increasing access to visual acuity testing, we would love to create charts for more languages to reach non-English-literate populations in Asia and Africa. We’d like to work with research teams to make these optotypes freely available. Please forward this if you work on foreign language optotypes, or can put us in touch with such teams! One of the biggest requests from medical professionals has been specialized charts for vision testing. The updated Eye Chart Pro features a number of new charts, including Tumbling E, Astigmatic Fan, Duochrome Charts, Near Vision, Amsler Grid, ETDRS charts, and many more to come. Each of these charts features detailed instructions on how to use the chart and some background information on the chart itself. To view this information inside the app, just tap the info button in the bottom right corner of the tool bar. 2. Testing to 20 ft using landscape mode. One of the challenges of providing 20 ft vision testing on the iPad was dealing with large optotypes. When the optotypes get too big for an entire row to fit into the screen, we allow you to rotate through them using the remote control using the left and right arrow (or by scrolling directly on the screen). 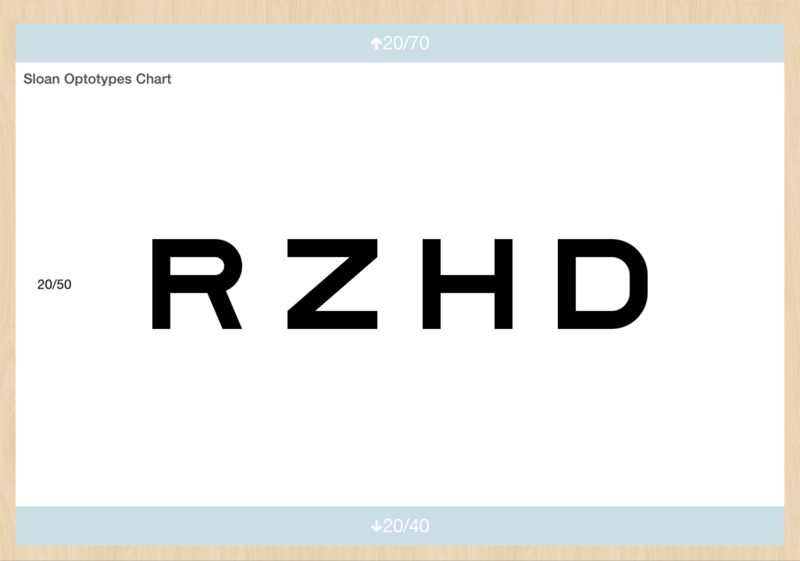 We re-designed the Eye Chart Pro remote control for iPhone/iPod Touch so that it works seamlessly with Eye Chart Pro. With the Eye Chart Pro value pack, you can access the full remote control functionality — including line isolation, character isolation in landscape, chart selection, randomization, and red/green toggling for duochrome charts. The remote also now features a “preview screen”, so you can easily tell which letters are displayed directly from your remote. You can switch charts directly from the remote control too. Just tap the menu button at the top left or swipe to the left to access the entire menu of charts. This means you don’t have to constantly walk up to the iPad in order to conduct a different vision test.